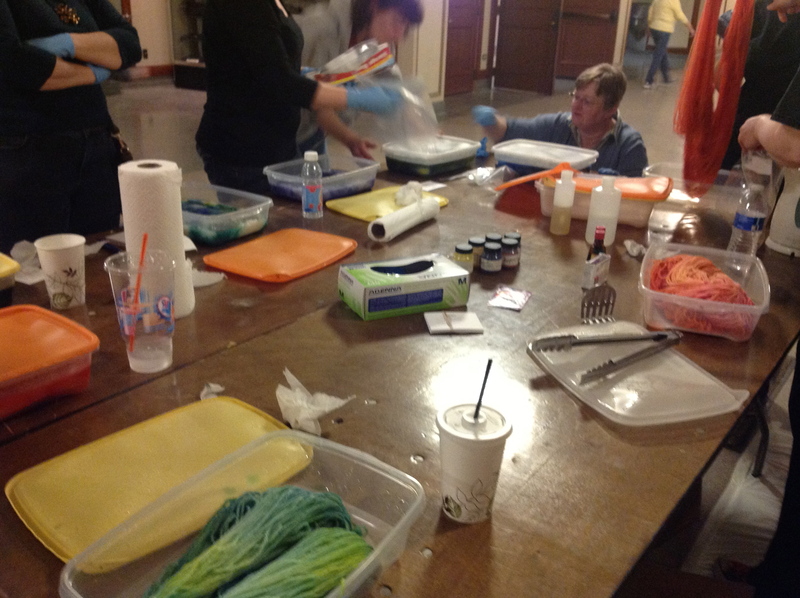 Yesterday was the second day of YarnCon 2013. It was moved from the Fall to the Spring, and to a new location at the Plumber’s Union Hall. There were many more vendors at the event than last year, and quite a different selection. Last year I had a fun time perusing the event, but did not purchase anything, this year was different. Lorraine was my companion for the day, she had a 2 hour class on weaving at the beginning of the day, and I had a 1 hour class on acid dying mid afternoon. We were lucky enough to be the last of the first 50, which meant that we got a bag of goodies, which was quite a treat. 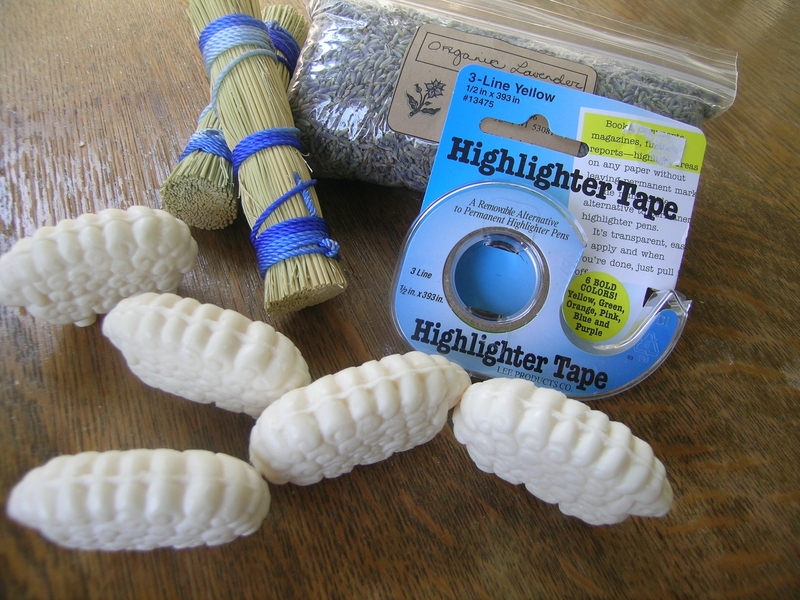 A couple of these items require elaboration. 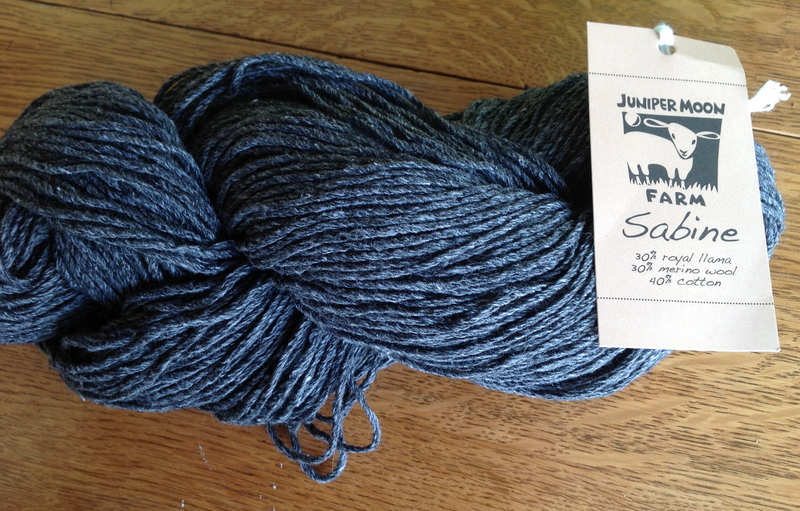 First, the yarn is from Juniper Moon, and was donated by the owner Susan Gibbs. 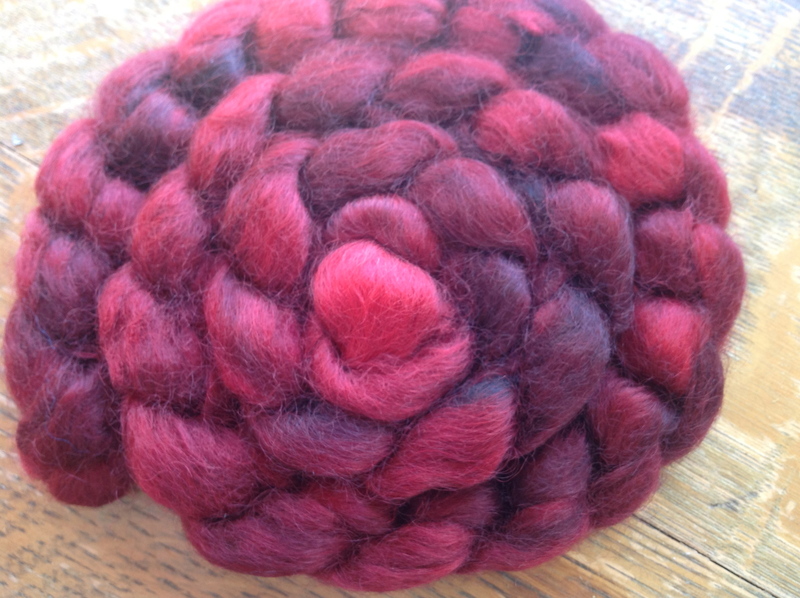 This is such a soft combination of Llama, Merino and Cotton, should make a gorgeous winter hat. Susan also gave a very interesting one hour lecture on her journey from Producer to Sheep farmer to Yarn company, both informative and entertaining. 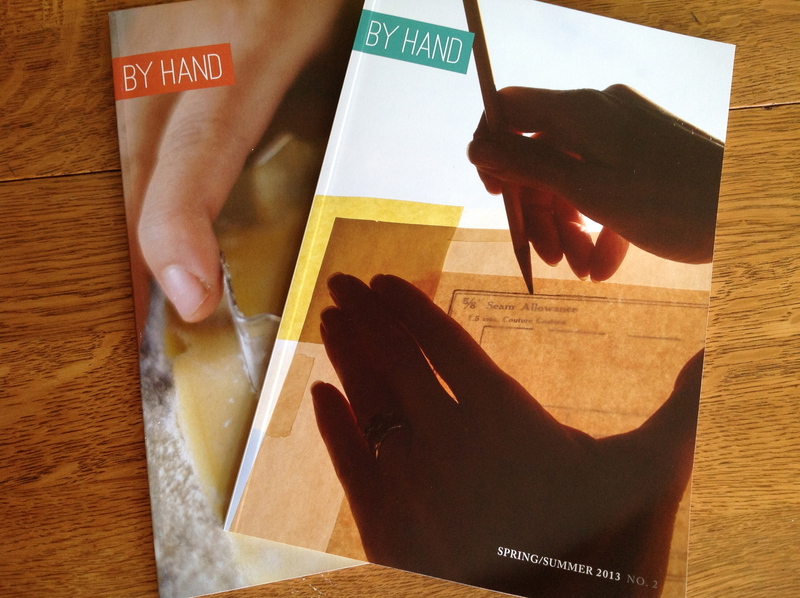 The magazine By Hand was one of Ms. Gibbs latest ventures. This issue is from last Fall, and so of course I had to purchase the current one. The magazine celebrates everything done by hand and is broken down into chapters titled: Cook, Grow, Build, Stitch and Craft . There are some amazing recipes that I am anxious to try, including Turnip Bacon Soup, and Rhubarb Chutney. My shopping was limited. 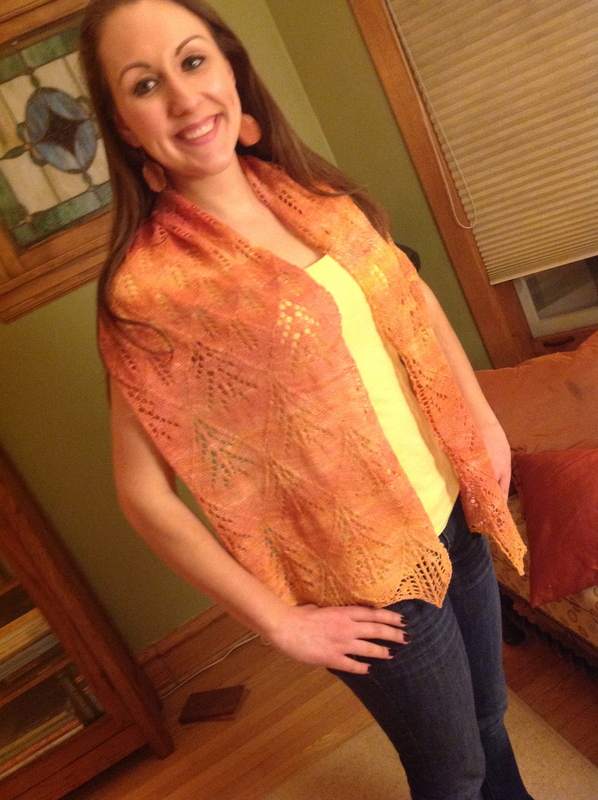 I have learned to make at least one round at fiber fairs to see what catches my eye. Later I allow myself to purchase, and this has greatly reduced my spending. 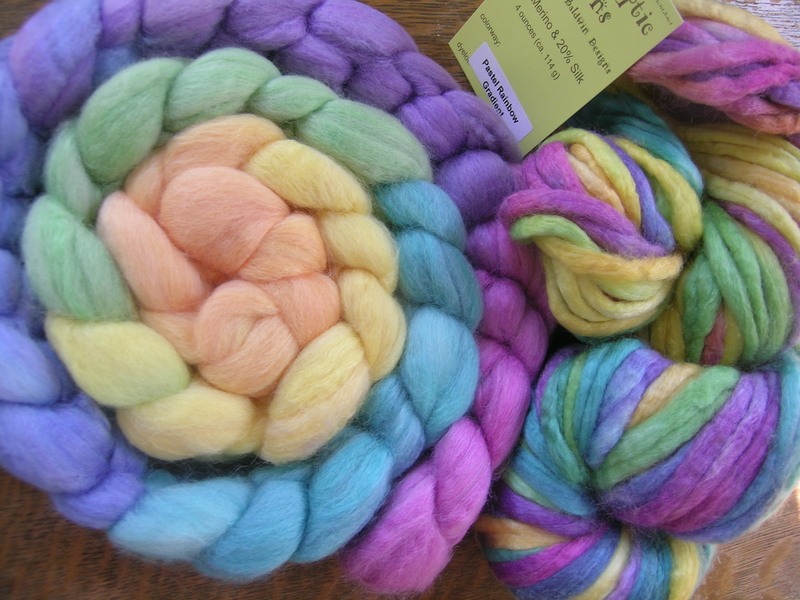 There was so much yarn from Indy Dyers, and I was really only interested in the sock yarn. 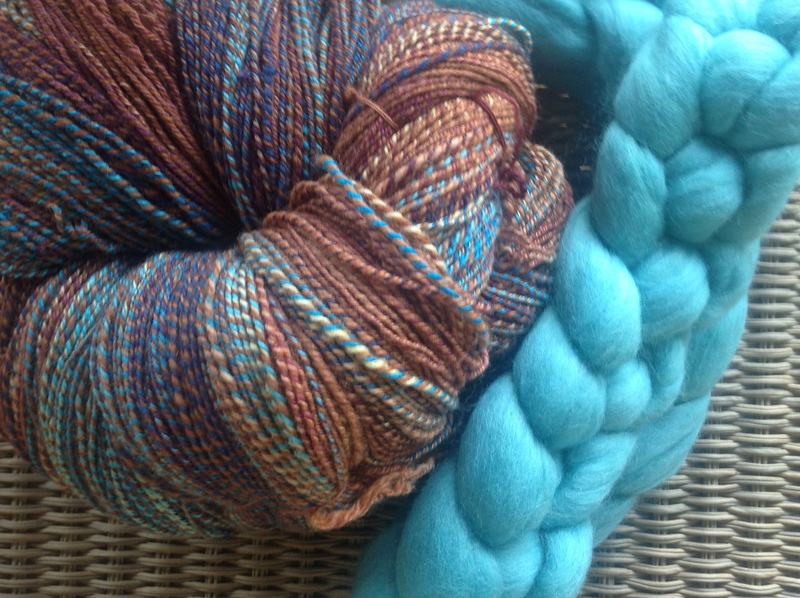 I had gone to the event thinking that I would purchase from one particular vendor, but this beautiful yarn from Happy Fuzzy Yarn caught my eye. And she is located in Ann Arbor, Michigan to boot (my alma mater)! 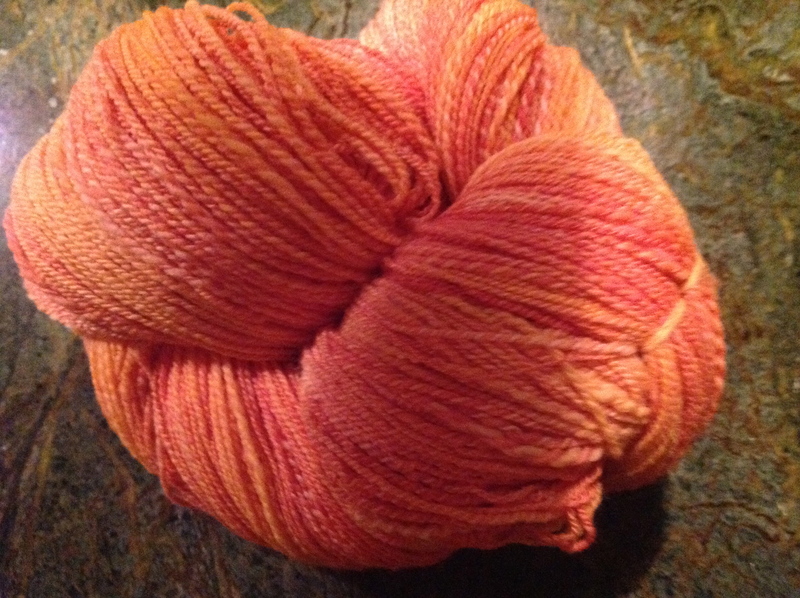 This is 50% Superwash Merino and 50% Tencel. 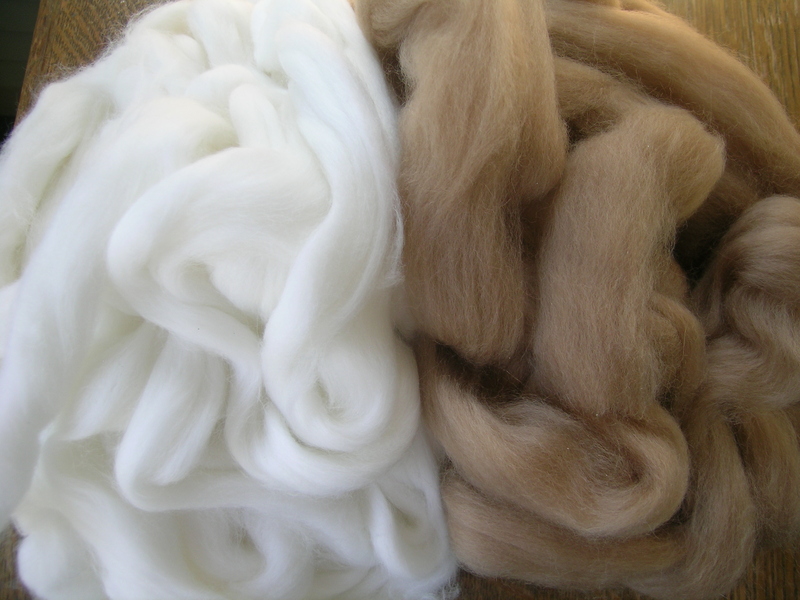 And how can one pass by at least some fiber for spinning. 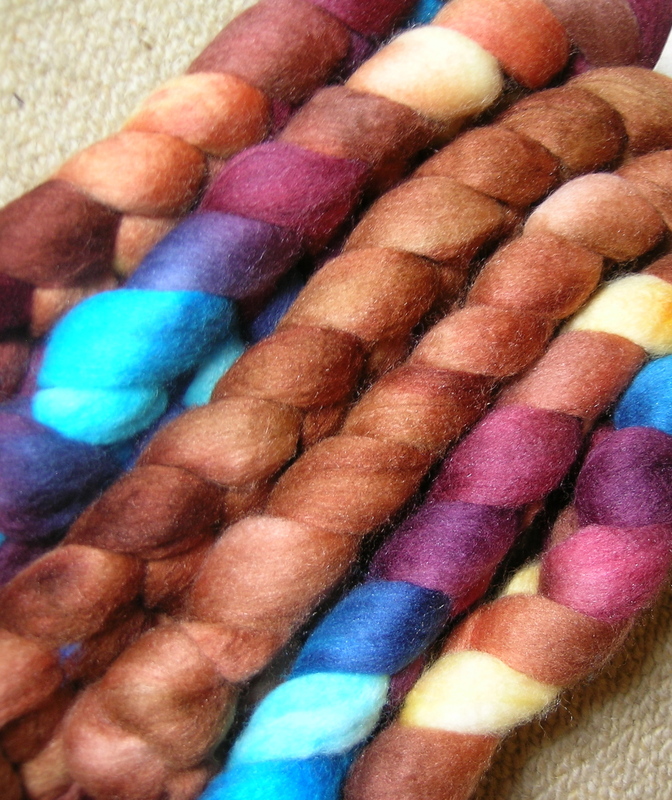 I was not drawn to any of the hand dyed fibers at the event, and this may not look like much, but I wish that you could reach through the computer and touch it, Shetland and Angora (from rabbits), it is so incredibly soft. Will make a great pair of mittens. 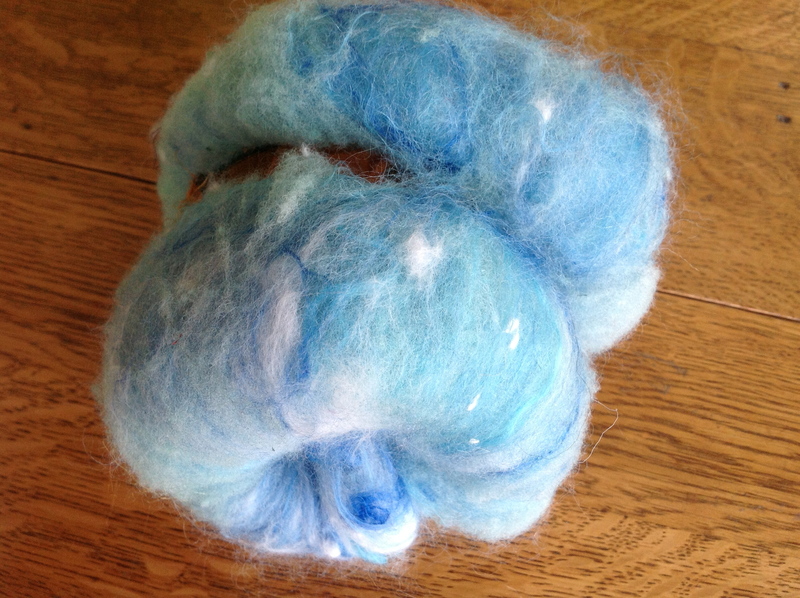 And one bump of dyed fiber to add contrast to this luscious soft fiber. 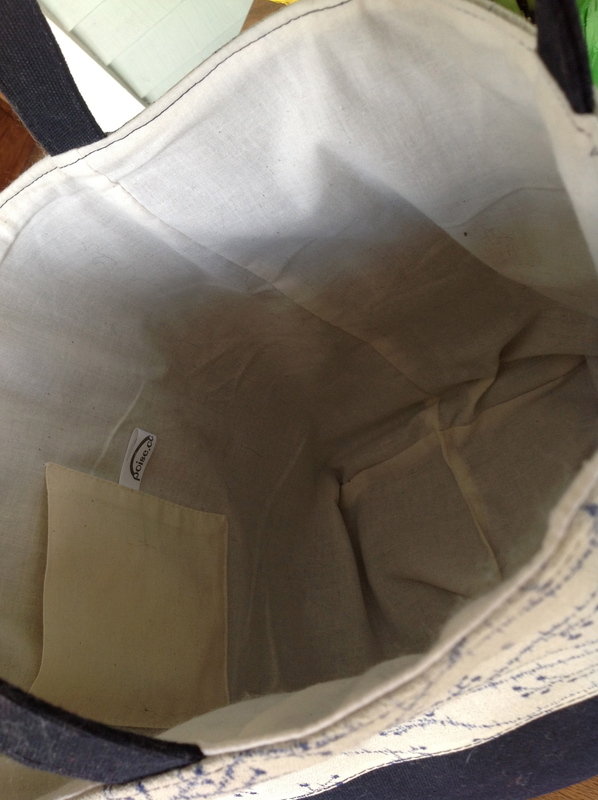 My last purchase was something that was not even on my radar, a new project bag from poise.cc. The structure of this bag, having a square bottom that always sits upright, intrigued me. 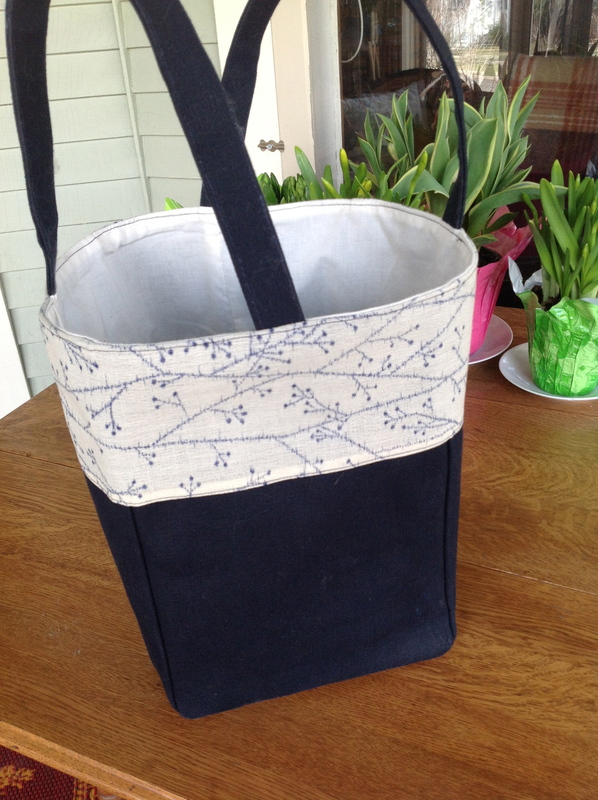 When the designer mentioned that the top fabric is Vintage Japanese, I was hooked. 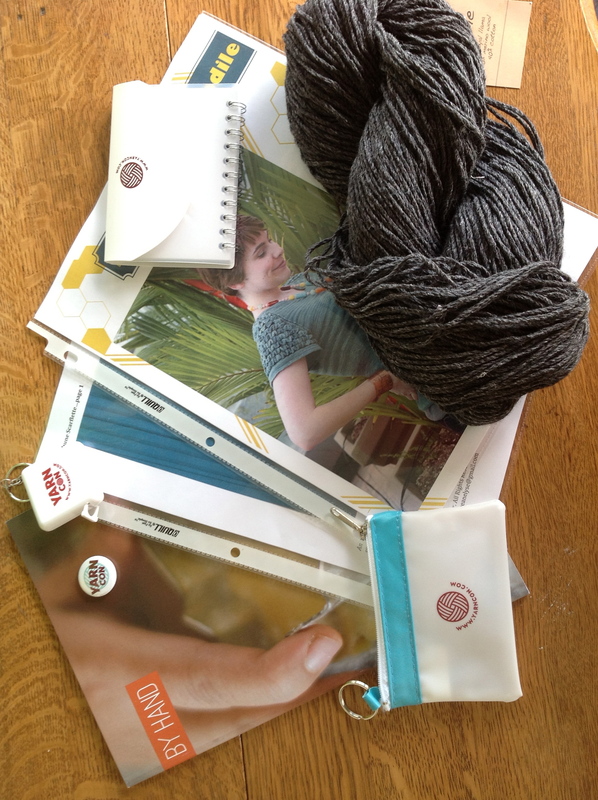 I already love this bag, and it will become my go-to project bag from now on, attending knitting with me tonight. 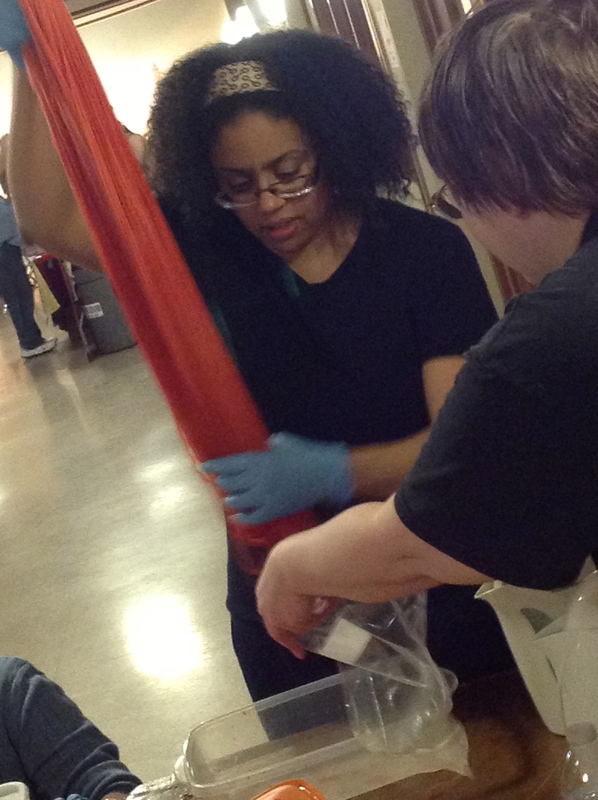 The afternoon ended with a class on acid dying yarn. 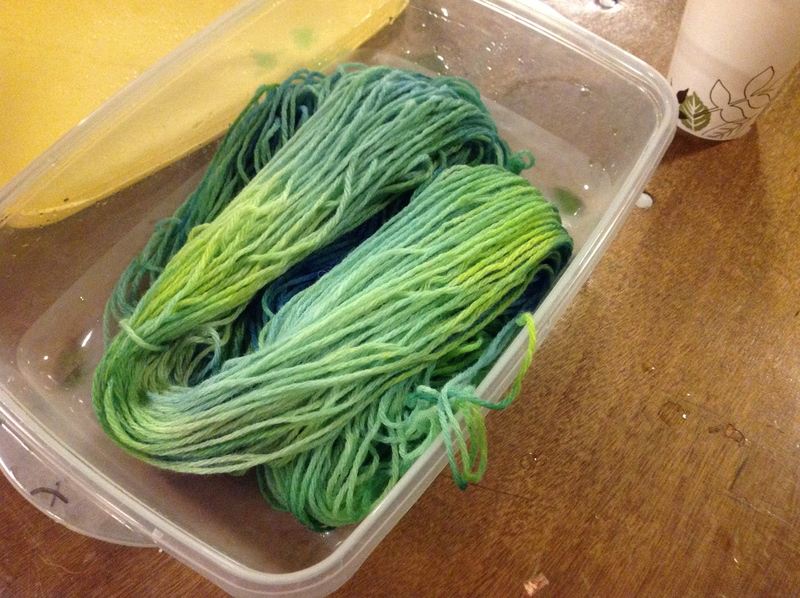 Given that this was the first and only time that I have attempted to dye fiber, I am very happy with my end result! And, if you do not have enough craft supplies, check out this sale, coming up in 2 weeks in Chicago. 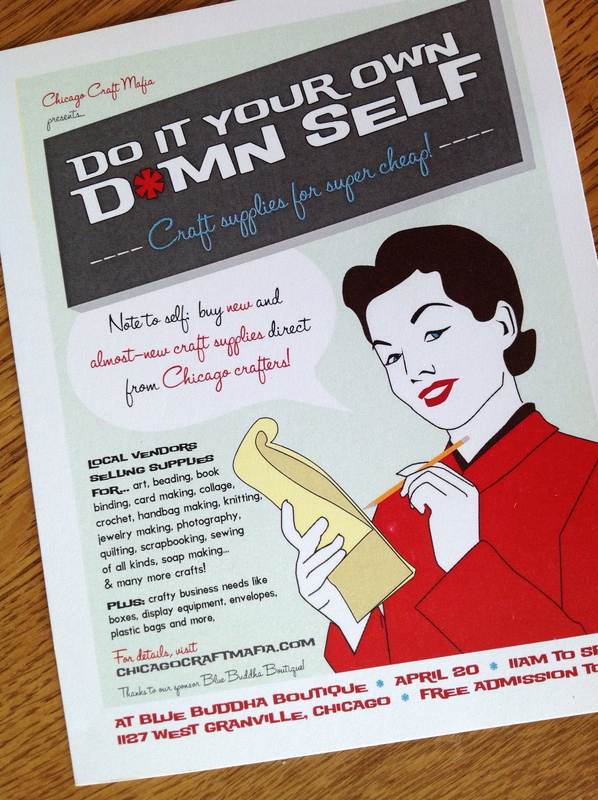 Love the mantra: Do it Your Own D*mn Self! Even though I have enough to spin for quite some time, I can’t seem to stop purchasing the Fiber Optic rovings. Kimber keeps coming out with these amazing color combinations, and they are irresistible, and only occasionally available. So, I must stock up, mustn’t I? This is a Once in a Lifetime color (meaning it was an experiment and is not formulated to be repeated). 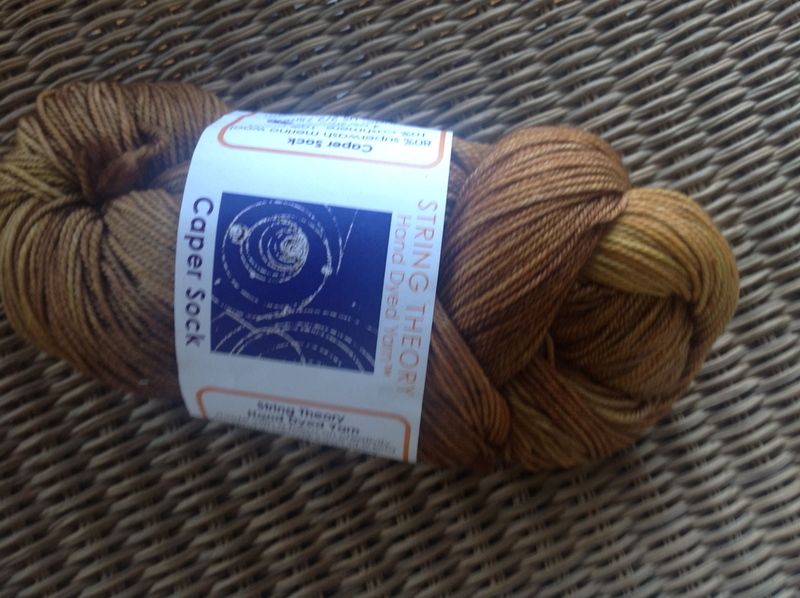 It is a blend of 40% Merino, 40% Baby Camel, and 20% Silk top. I wish that you all could feel how incredibly soft this is. 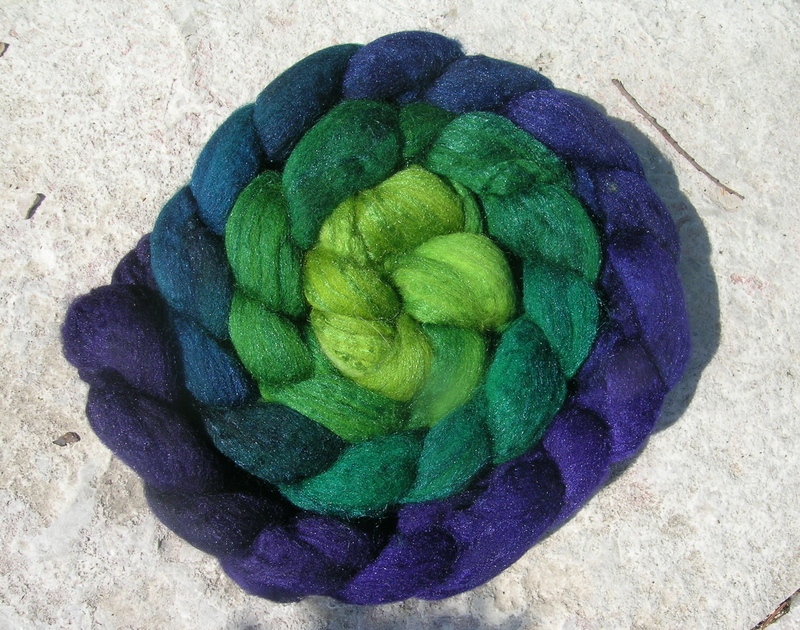 I think that this will be next on my wheel after the Southern Cross Fiber is finished. 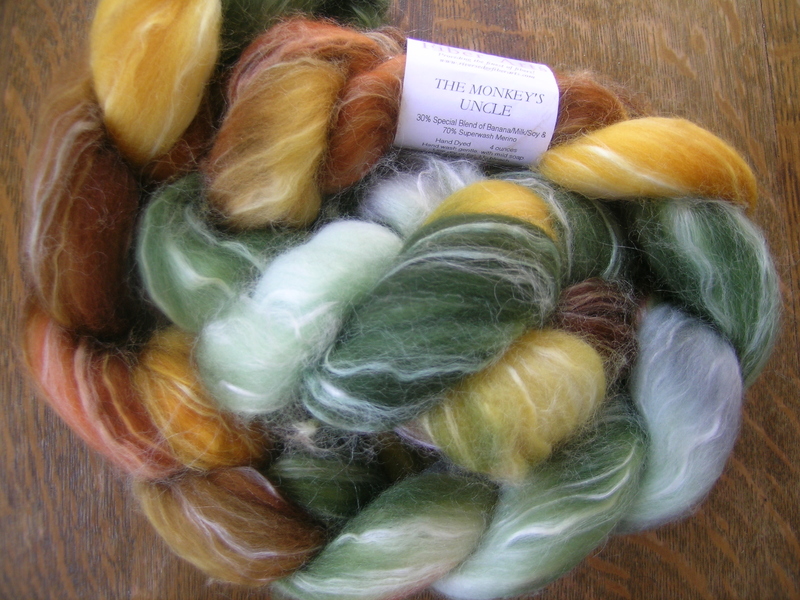 And this is Wensleydale, a wool breed that I have never spun before. It is called Evil Queen, because it darkened up in unplanned spots during the processing, she was looking for a Queen’s Red on the fibers. I love the variation. Again, a one-off. 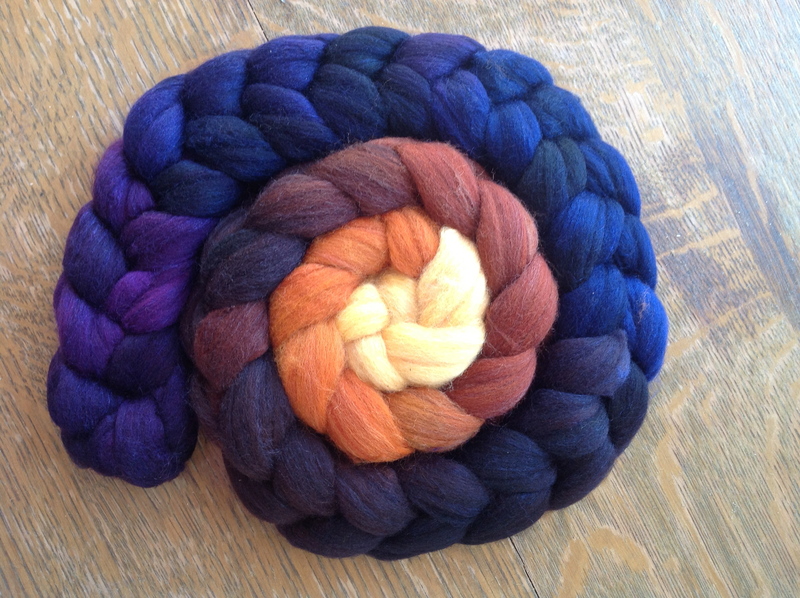 Lastly, the latest of the great gradient braids, this one is called Honey to Fig. How could I ever resist this? Very pretty colors, and like always, very difficult to capture with the camera. Her colors are so intense and rich. 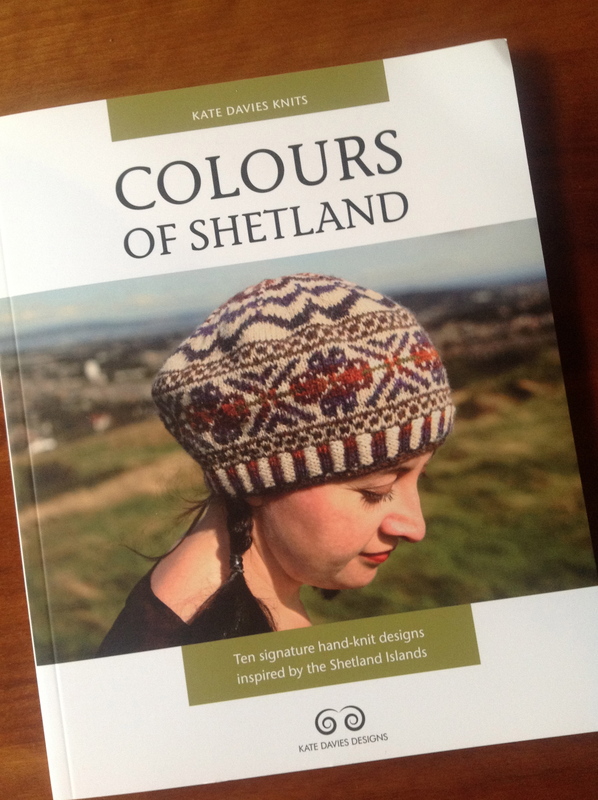 I also purchased this book, Colors of Shetland by Kate Davies. 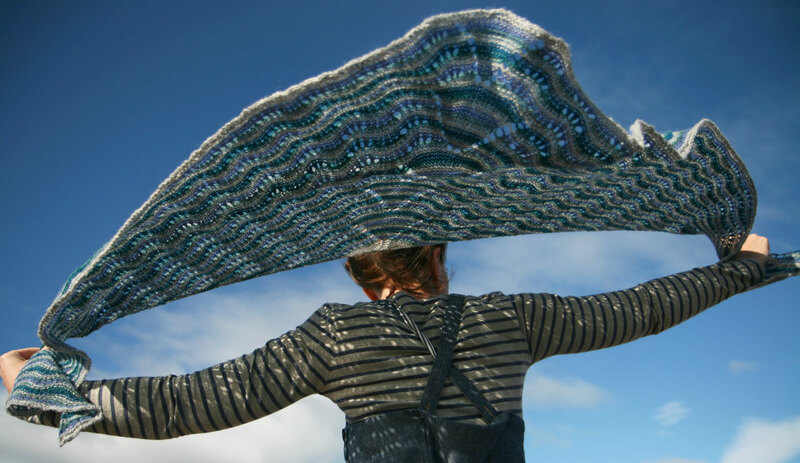 It is a history of the Shetland Islands, intermingled with the author’s Shetland inspired designs. The photography is amazing, and the history is fascinating. I am not sure that I am drawn to any of the knitted items at this time, but maybe in the future. 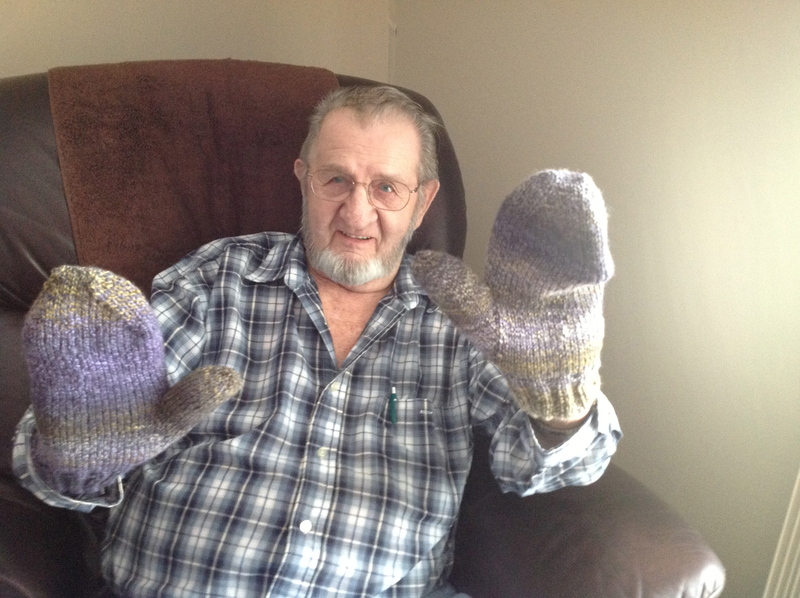 I made these mittens for Cass for Christmas. 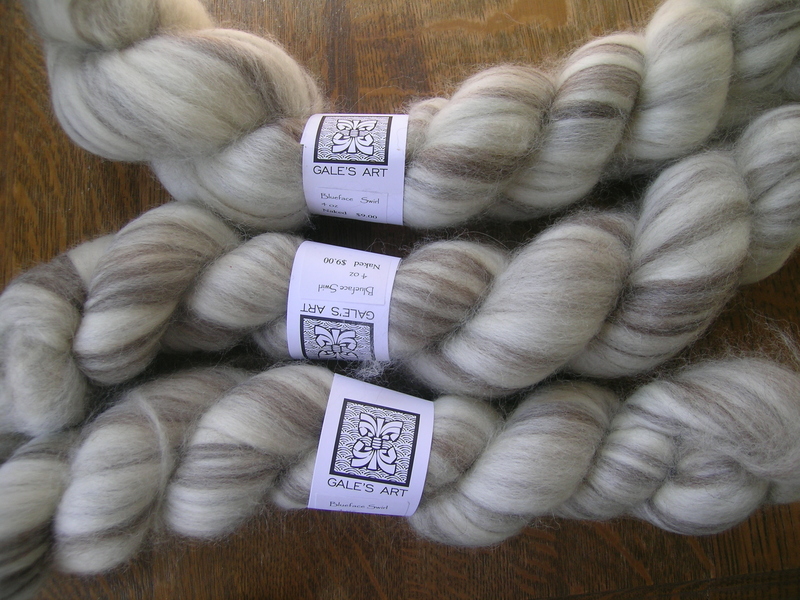 The fiber is handspun Shetland from Into The Whirled. 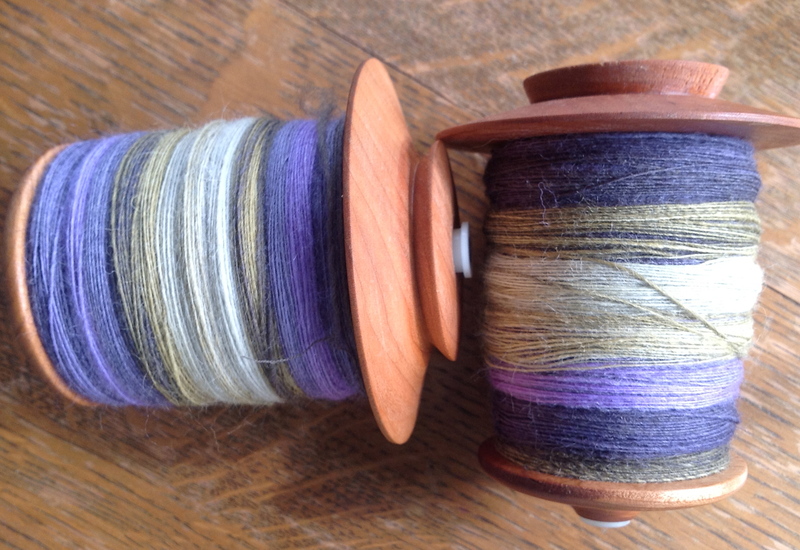 I do love spinning Shetland. 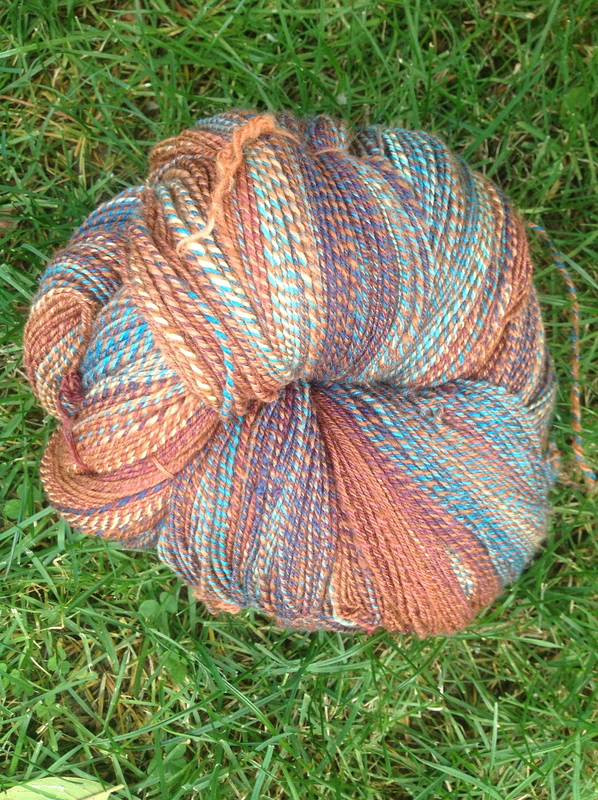 I spun two braids of the multi and ended up getting a third braid from someone’s destash to get a nice 3-ply yarn. 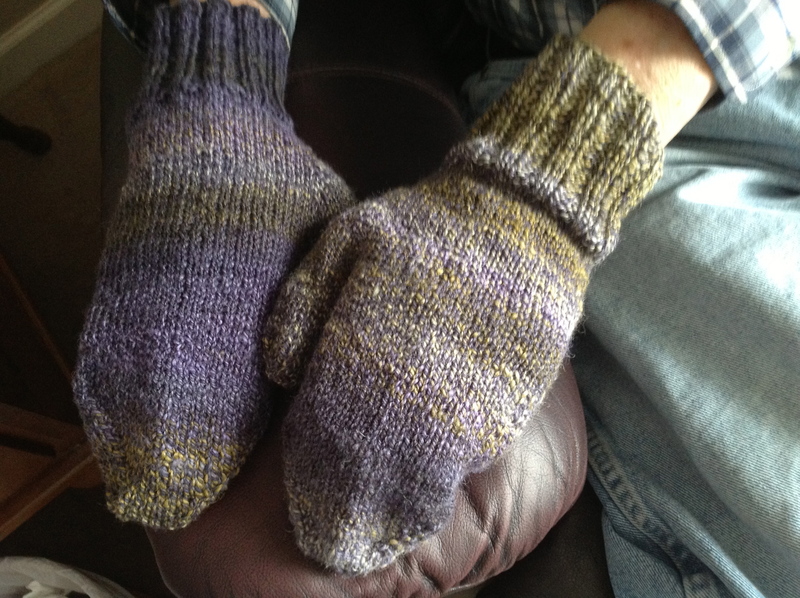 They knit up into a fun pair of mittens (and I have enough left to make a pair for myself), the pattern is my own standard improvised as I knit pattern. 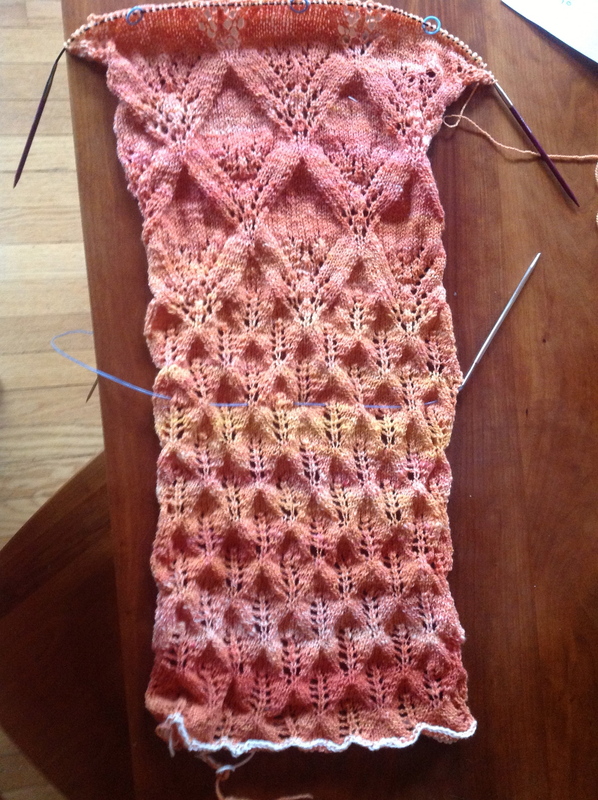 This one was on size 3 needles, cast on 48 sts, rib for 24 row, 6 rows of straight stitch, increase for the thumb to 24 stitches and knit to desired length. So now he can give my Mom back the ones that I gave to her! 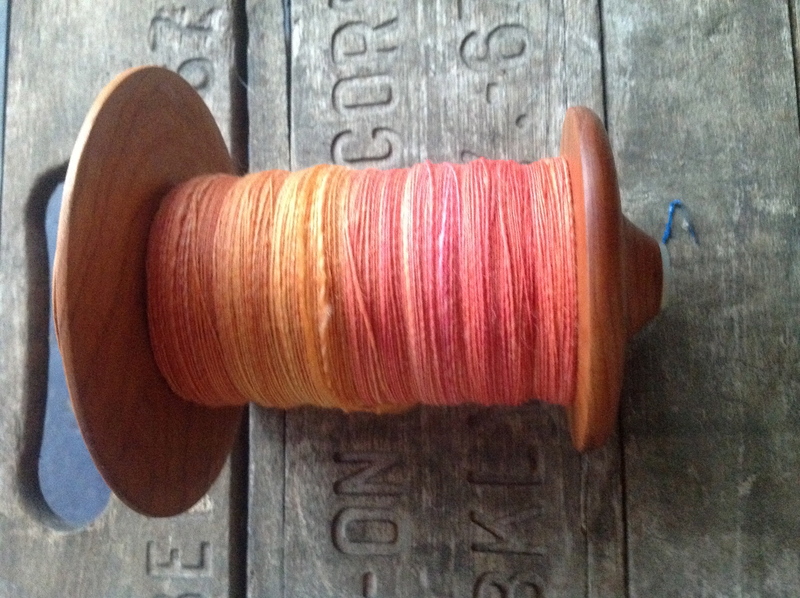 On a spinning note, I finally finished plying all of my singles from Woolgatherings CAS spin-along. Three months late, but finished none-the-less. And I have 1100+ yards of 3 ply. 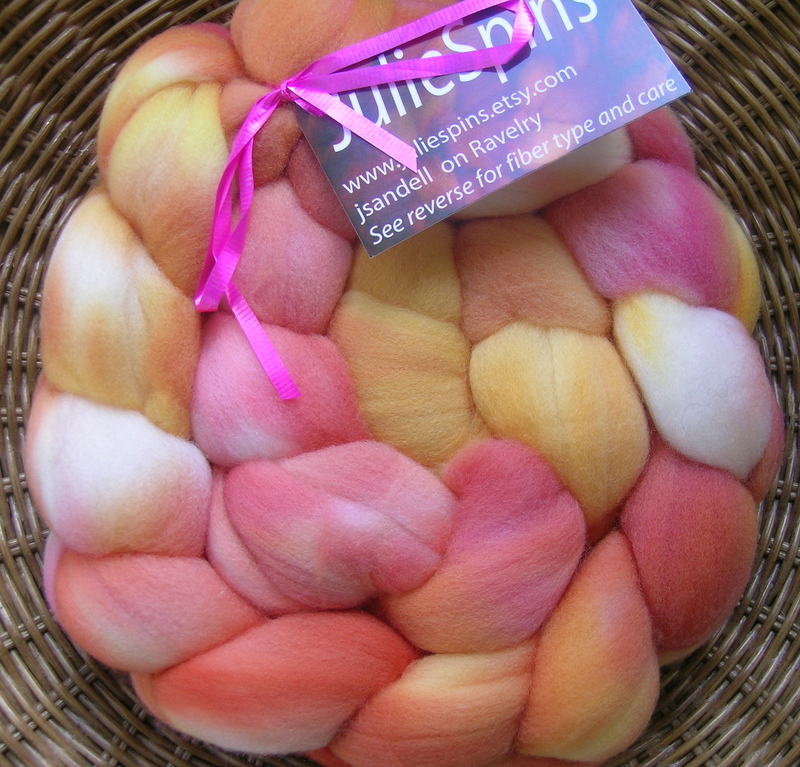 Two plys were with the variegated roving, Starling, (one split up fractally) and one ply of a coordinated copper color. 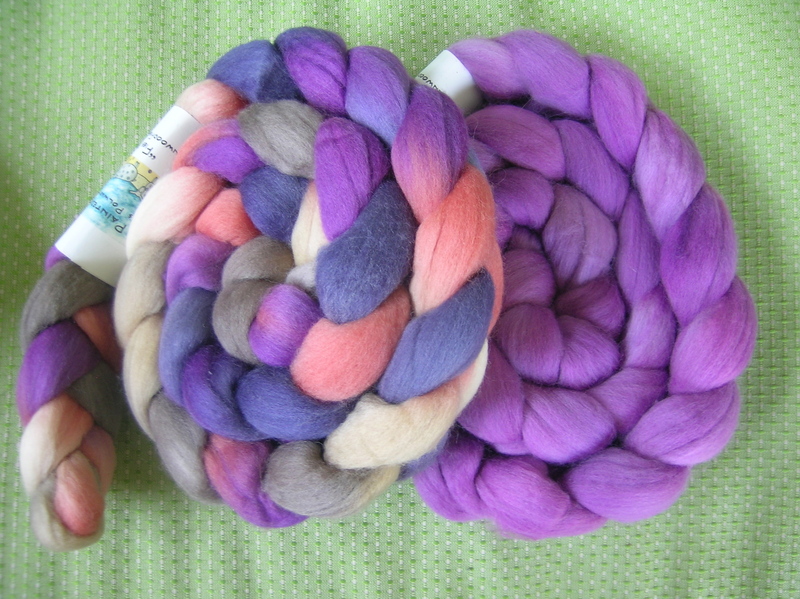 I love these, and am looking for a coordinating solid to spin up so that I will have enough for a sweater. Would be my first sweater’s worth!!! This was a pleasure to spin, and so very soft. 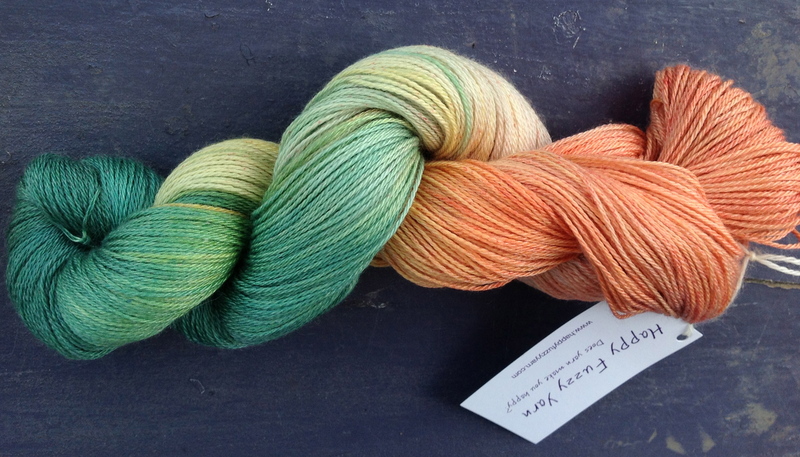 Polwarth/silk blend. 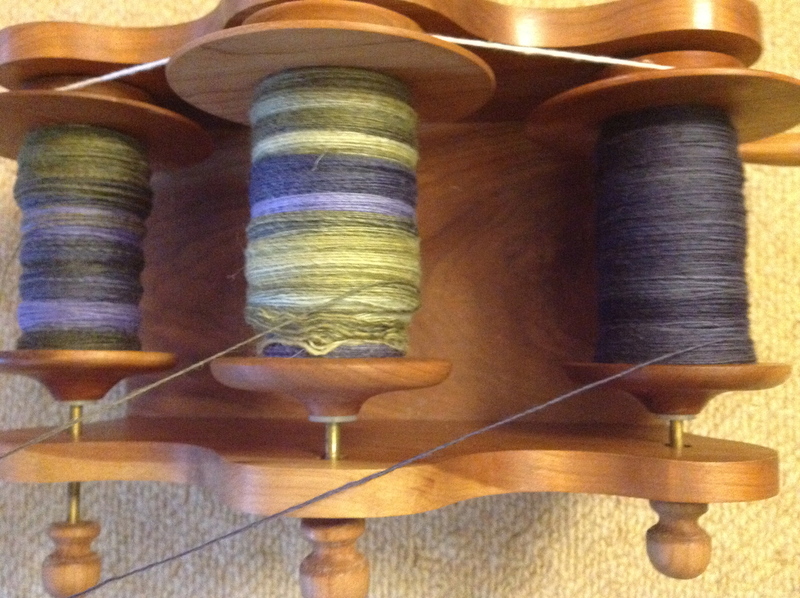 I went back to my Jensen wheel this week, and finished spinning up a couple of languishing projects. I have made great progress on these this week. And, I am sometimes a slow learner. My wheel is equipped with hooks (as are my other wheels), no fancy slider or Woolie Winder for me. 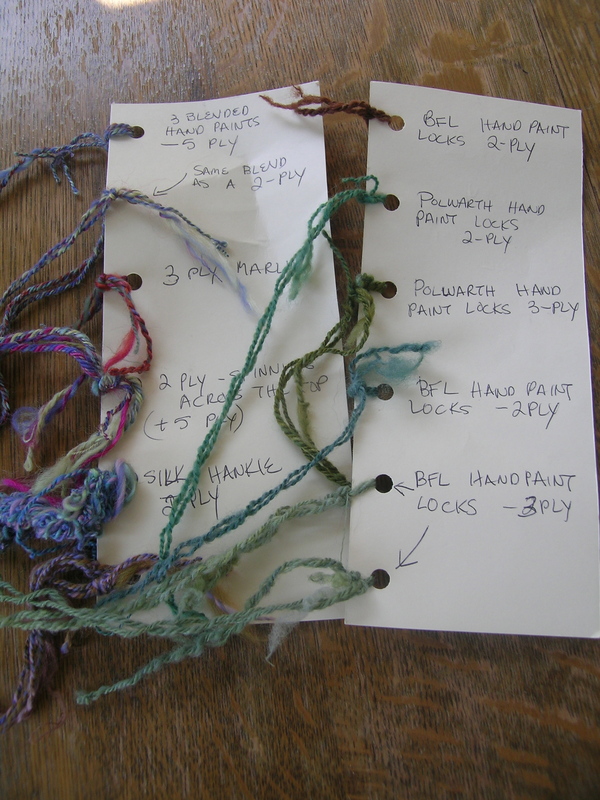 I had always been moving the fiber along the hooks on the right side of the flyer, then I read about someone alternating sides. Duhhh!!! The hooks are slightly off alignment, so I get a very nicely wound even bobbin. I know that some people do not like to stop to move the fiber, but it is not that big of a deal, the first pass on the bobbin requires more moving, but I get to check my fiber along the way for consistency. 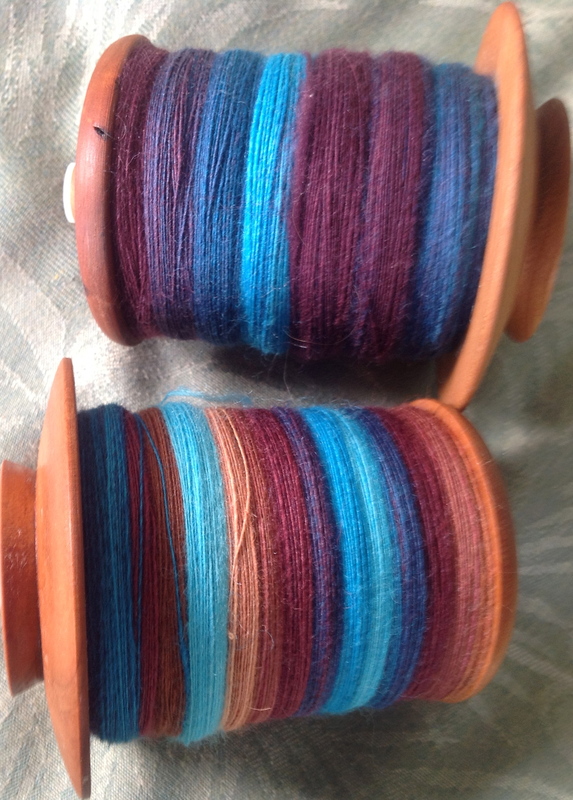 So, my “better wound” fibers are posted below. 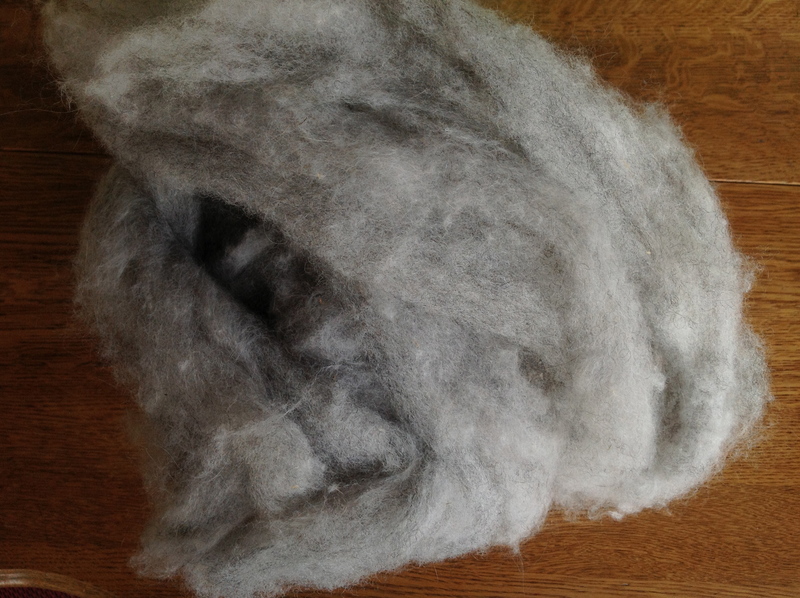 Much of my spinning output has been 2-ply, and it has limited uses. 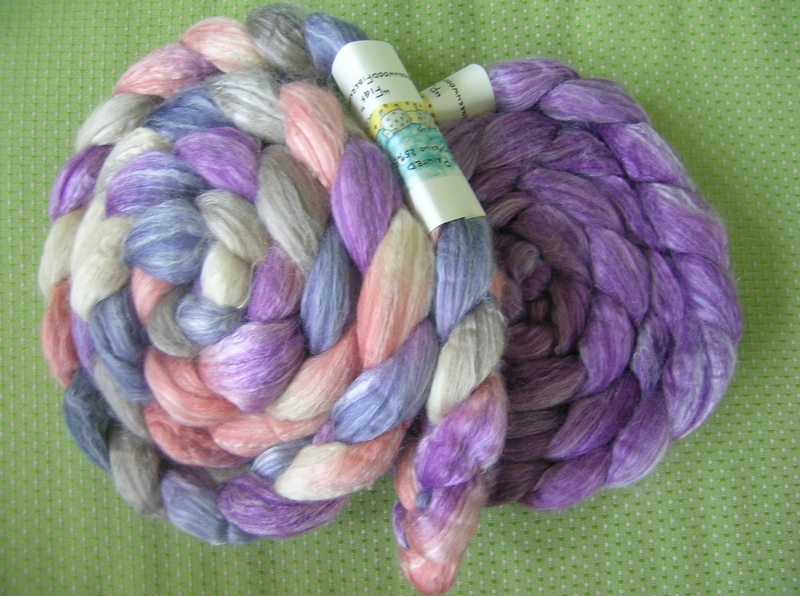 The shear spinning volume has kept me from making more 3ply yarn, but it really is the type that I would make use of more. 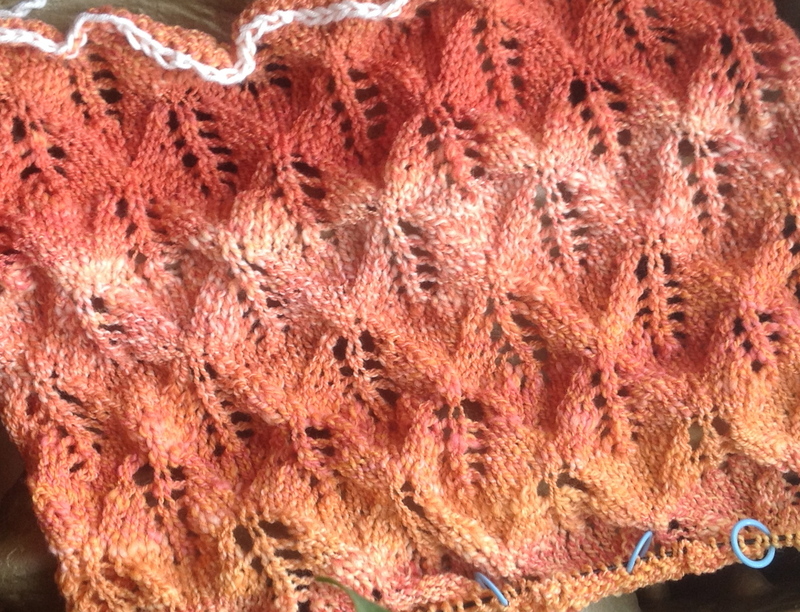 I have plenty of shawls, and am actually saving some of my Fiber Optic for future shawl projects. Dan and I spent the weekend in Wisconsin, staying at one of our favorite B&B’s in Whitewater, Hamilton House, and visiting the Wisconsin Sheep & Wool Festival for the 3rd year running. How I did not know about this before, I am not sure. I think that because I was not a spinner yet, I thought that there would be little that I would be interested in. Wrong. During the weekend I took a 1/2 day class with Kate Larsen on spinning handpainted fibers, I was hoping to learn some techniques to avoid getting the mud that I sometimes end up with. 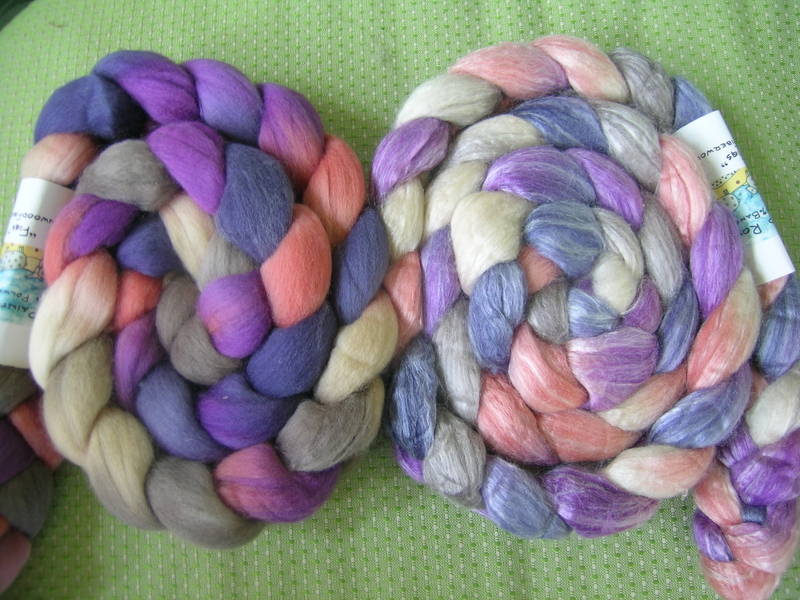 We combed painted locks and spun those, that was interesting, in addition to trying some new techniques with hand dyed roving. While I was taking this class Dan was taking an all-day cheese making class. He had a lot of fun also, and I was happy that there were options for him. 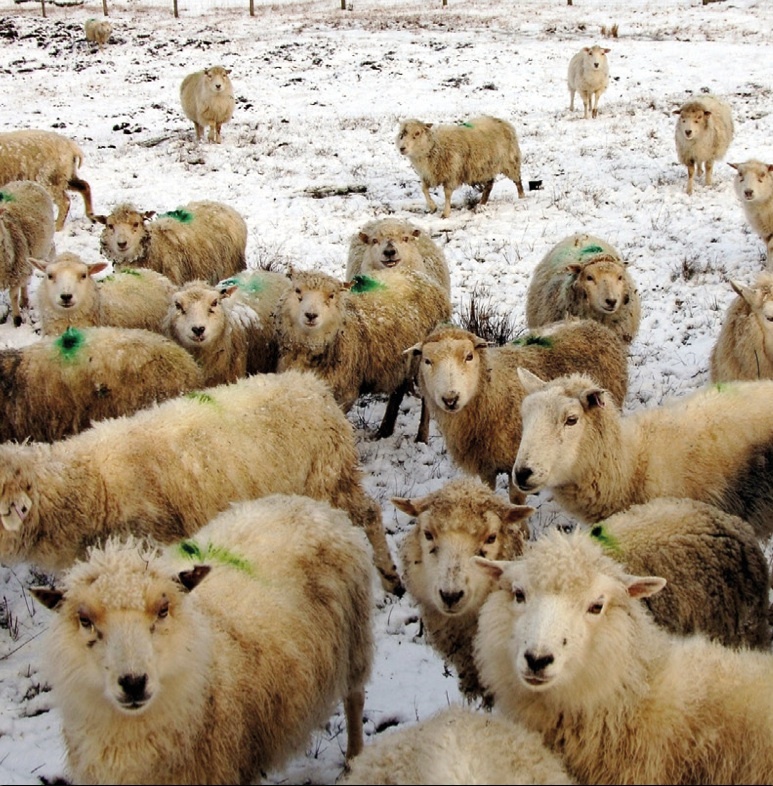 Even so, he is always a good sport for a wool festival. So, we had a couple of nights at the restaurant The Black Sheep (how appropriate given the weekend), and visited Old World Wisconsin on Sunday. Lovely times, great weather. The first night at dinner I told my husband that I would just like to have this weekend away every year at the wool festival for my birthday (which is in a couple of weeks), he was greatly relieved as he said that he was struggling with ideas. And, my purchases came guilt-free! 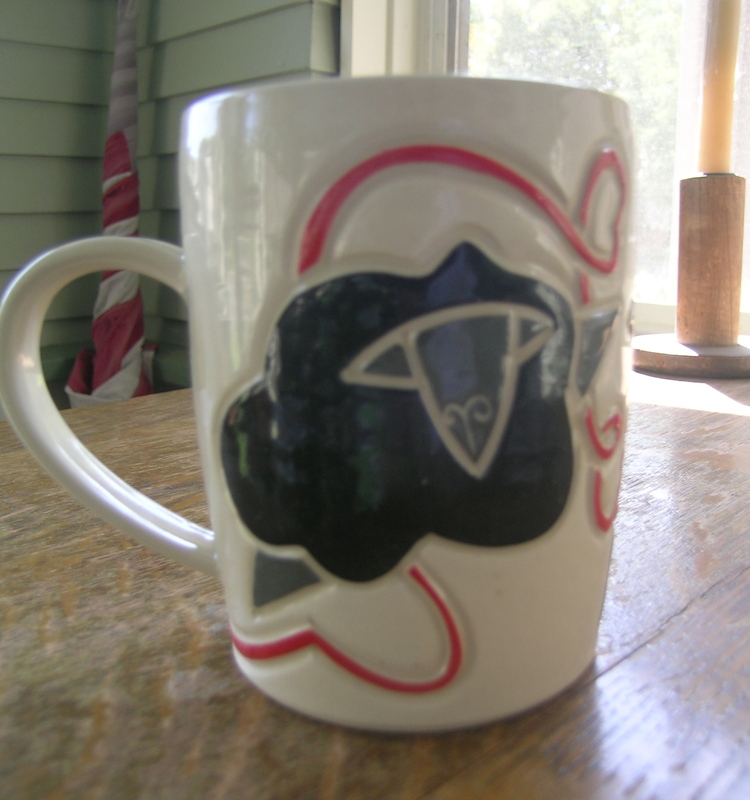 The very first thing that I purchased was this black sheep/white sheep knitting mug from Jennie the Potter. There were very few left, and I knew if I thought it over I would miss out on it. 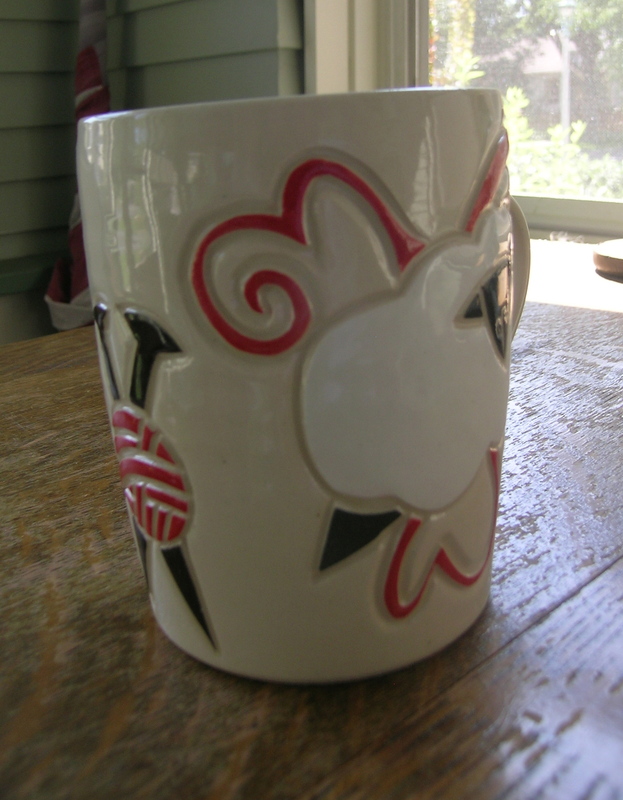 Destined to become my morning coffee mug, and waiting for my knitting room to be complete. 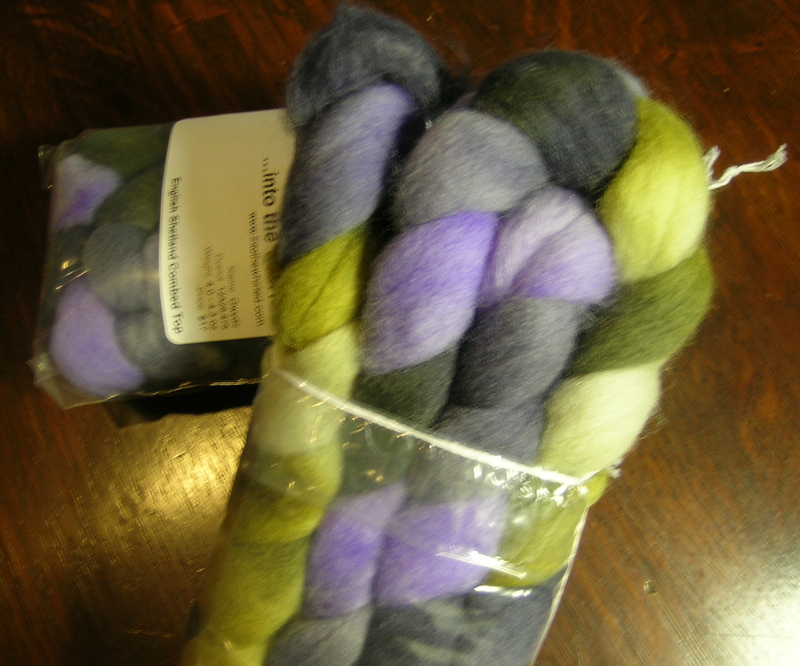 Natural variegated BFL, 1# worth from Gale’s Art. I could not miss out on the Fiber Optic booth. Looking at the gradients first-hand, I feel that I had already purchased the ones I like the most, except for this one, the pastel gradient. I was going to get 2 braids, but when Kimber told me that she was spinning up the Polkadots and Moonbeams pencil roving right now, I realized that they were the same colors, and the lightbulb went on, these will be plyed together. 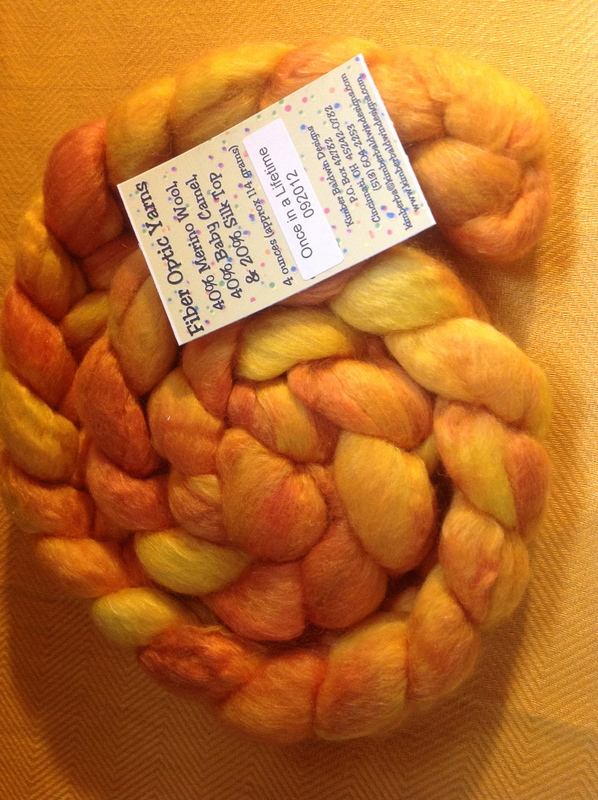 As always I had to stop by Carol’s booth from Rivers Edge Fiber Arts, this is a very unique combination of fibers (30% blend of Banana/Milk/Soy; 70% Superwash Merino), it will be fun to spin up. 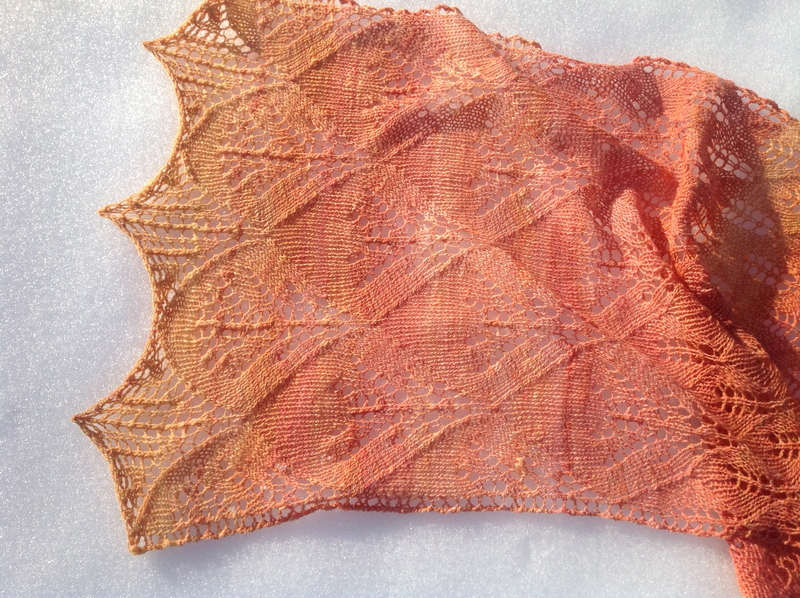 Carol also showed me a great way to pull apart a silk hankie and spin it, or knit directly from it. So, naturally I had to try one. There was a booth from the Morning Sun Fiber Barn from Iowa, and after petting this Baby Camel and Angora at least 3 times, I knew that I needed to add it to my pile. 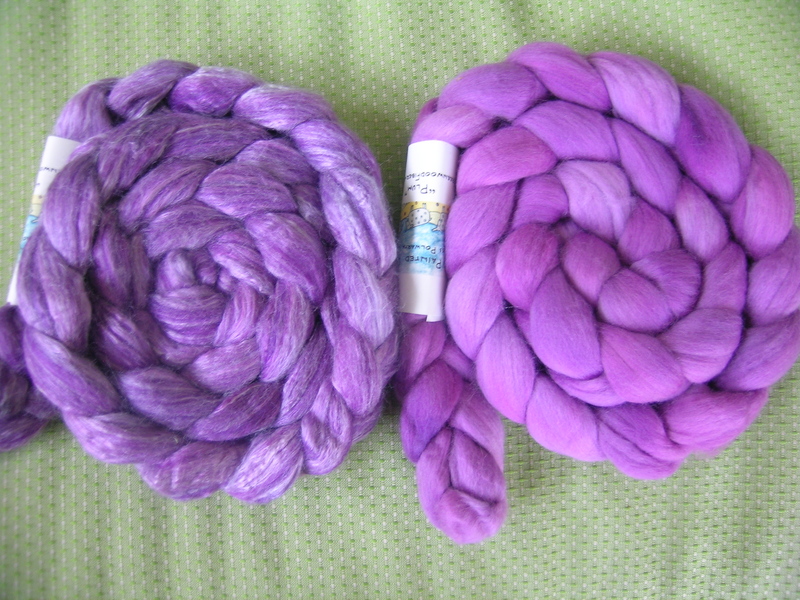 Two ounces of each, should be enough to make a pair of stranded mittens for myself. I will love to put my hands in these every day. 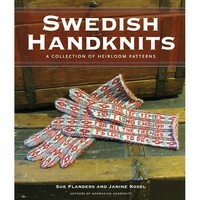 And this book, Swedish Handknits, I had not seen it yet as it is hot off the presses, I have not had a chance to delve into it, but the authors are the same as the Norwegian Handknits book that I purchased a few years back. The Swedish Institute will have an exhibit in October with the inspiration pieces alongside the samples knit for the book. Maybe we can make that exhibit. A very good Birthday weekend indeed! This booty all came on the day that we were taking Ethan back to school. I was away when it arrived, and my husband lovingly, with no snide comments, put it aside for me. I had really not been planning on purchasing any more fiber. Really. 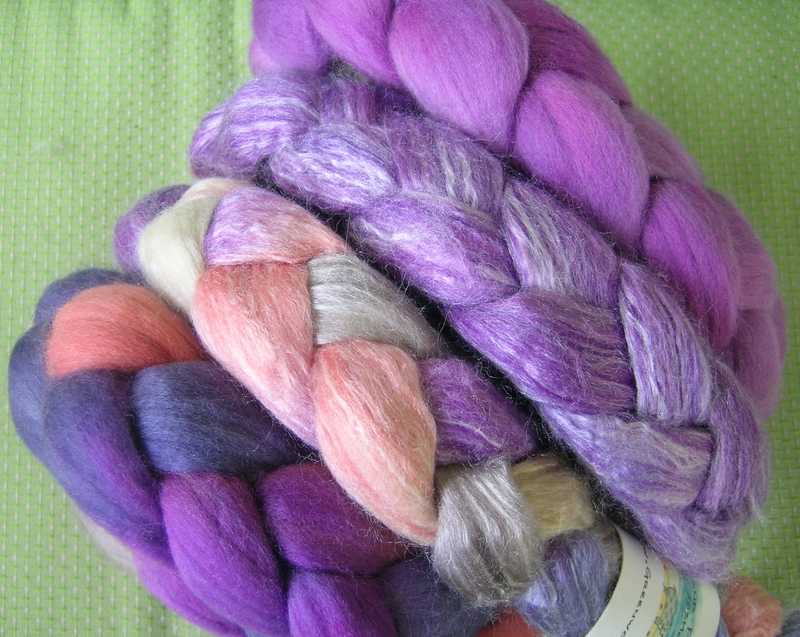 Then the CAS spin-along had these colors custom dyed up for our group from Greenwood Fiberworks, Fig was the inspiration. How could I resist? 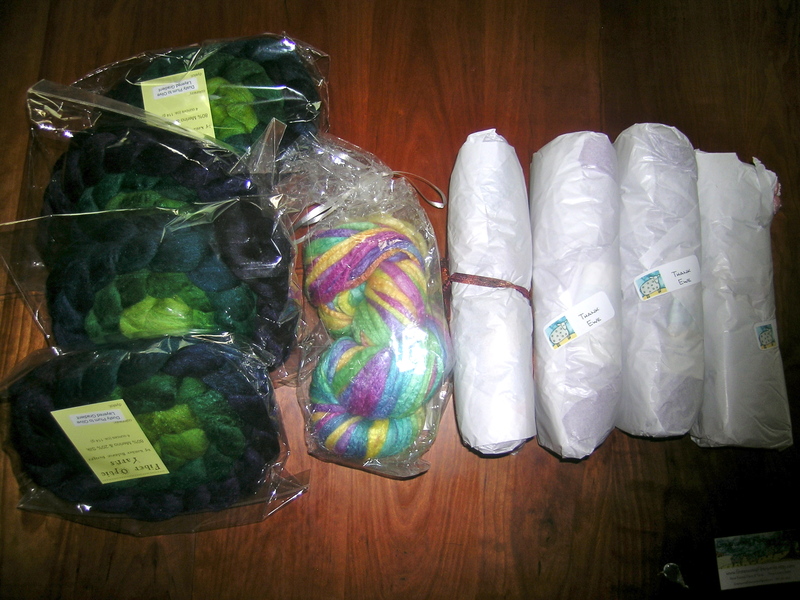 I plunged deep on this one, I am going to have to think of something special to make with all of this. 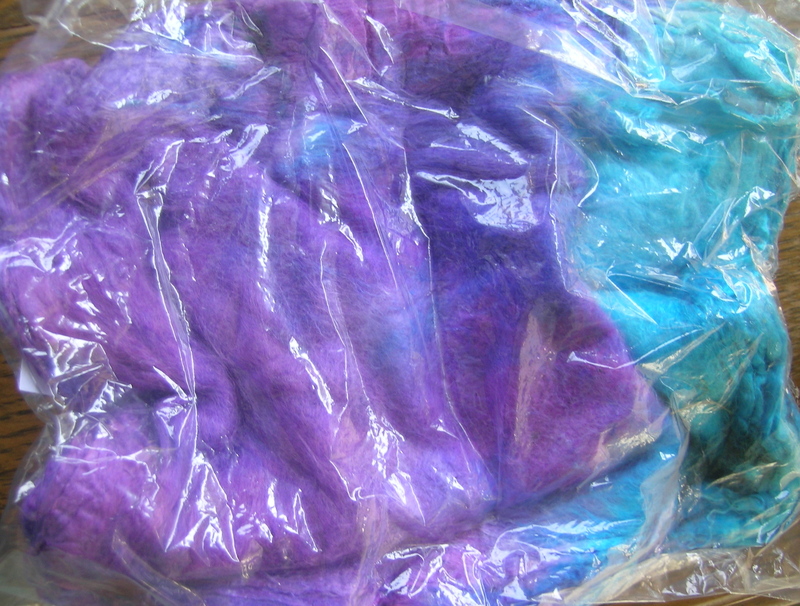 50% Merino, 25% bamboo, 25% silk. 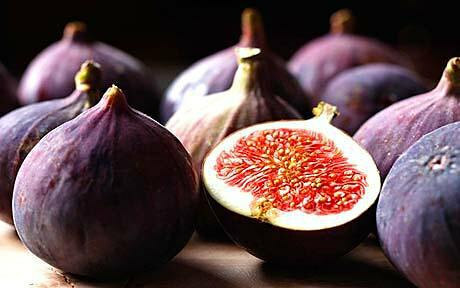 again, Figs with matching Plum. This is so incredibly soft! 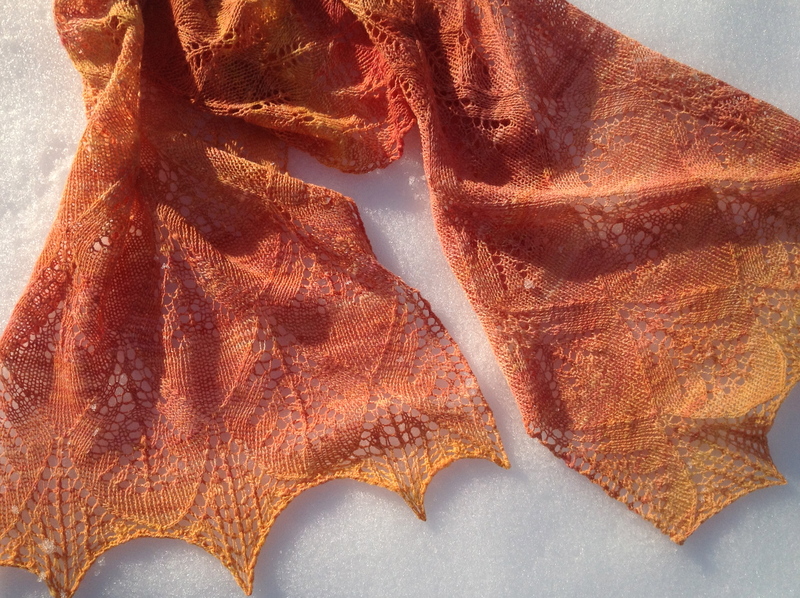 And I loved how the colors changed with the fiber. 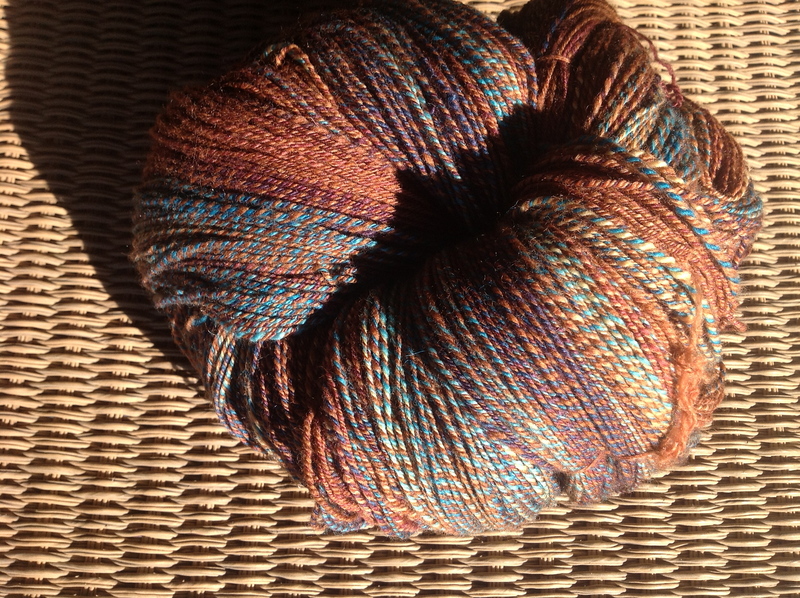 And then, Kimber at Fiber Optic had to go and dye up this colorway. I had been restraining myself of late, and only purchasing something that I absolutely loved. 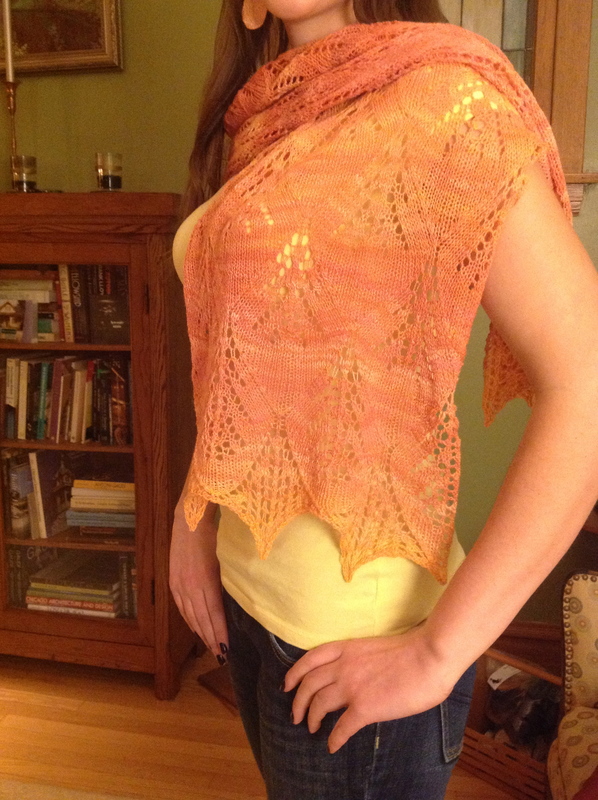 This fit the bill so much that I got 4 braids, I want to make a really large circular shawl out of this. 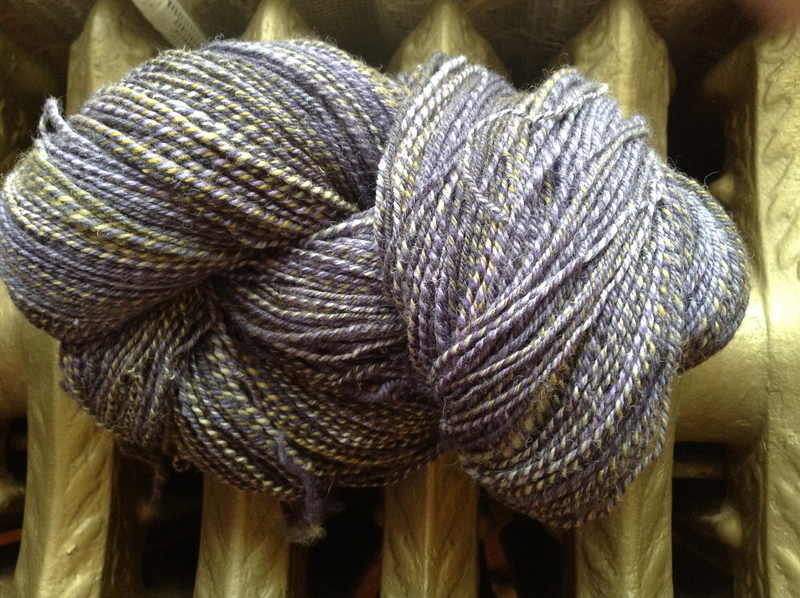 Color is Dusty Plum to Olive, merino and silk, another of her beautiful gradients. At least there is a theme going on here (Plum). Gorgeous stuff! I can’t wait to see them spun up…they’re going to be spectacular!